Unless a disaster happens, the year 2013 will end unchanged as far as the world’s largest automakers are concerned. 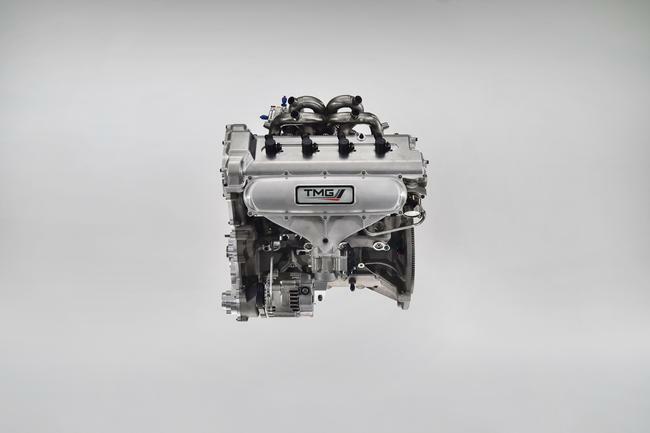 Meaning: #1 Toyota, #2 GM, #3 VW. 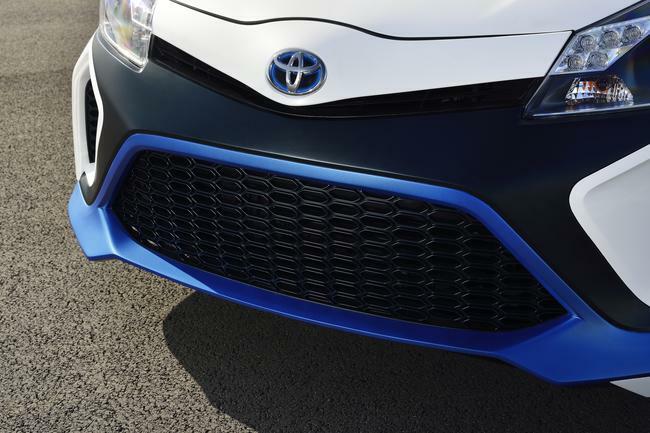 Toyota could end the calendar year a hair below 10 million, or a hair above. 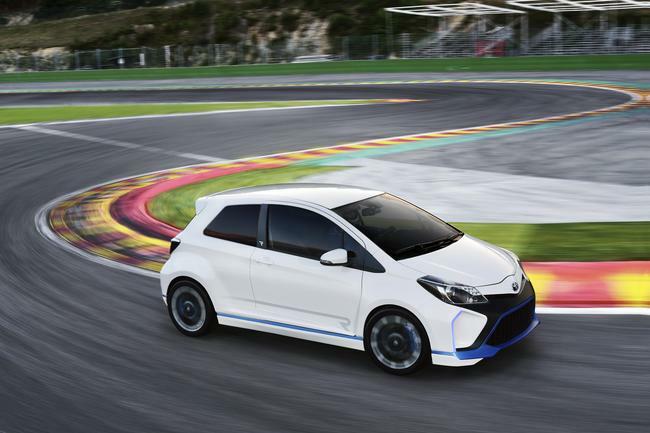 The 10 million barrier has been broken by Toyota in 2012 already, and with no fanfare at all. According to OICA, Toyota made 10.1 million units in 2012 worldwide. 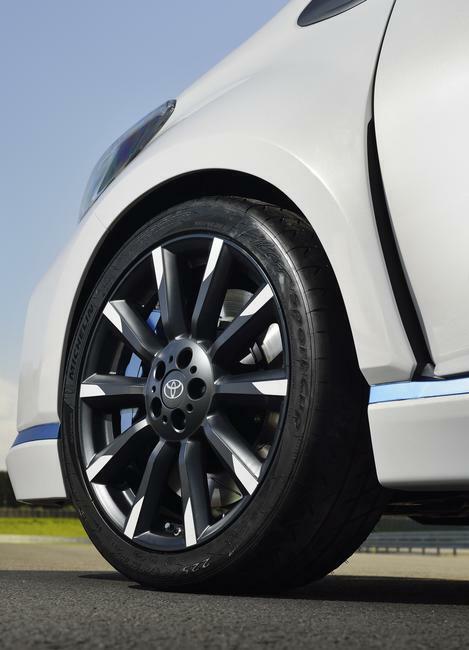 In May 2013, Toyota forecasted sales of 10.1 million for the current fiscal year which ends on March 2014. TMC’s pace increased a bit the month, and I am confident that the target will be met. When I worked for the Dark Side, doing propaganda for Volkswagen, I drove a few pre-production models for familiarization purposes. Never was I invited to drive the prototype of a car that would need another two years to go into production. Today, it happened. It wasn’t just any car. I drove a car that could change the way we drive into the future. My ride was the prototype of Toyota’s first mass production fuel cell sedan, which I was promised to arrive on the market in 2015. The car is covered in camouflage swirly foil, the instrument cluster is amputated and replaced by a few gauges that are taped to the cockpit. It definitely does not look like a million bucks, but that’s what my ride costs. says Toyota’s advanced technologies chief Satoshi Ogiso, probably by way of a suggestion to be gentle with his baby. “Of course, this price will come down before we introduce the car,” Ogiso promises. How much he won’t say, word on the streets in Tokyo is around $50,000. We are in a huge, and, surprisingly for Tokyo, empty parking lot in the city’s docklands, the air is heavy with burnt rubber, and it is pierced with the squeals of tortured tires. Toyota jetted the A-list of the world’s motor journalists to Japan. Give them a car, and some will make it beg for mercy. The car is powered by a reactor. The reactor sits under my seat, and it converts hydrogen into electricity. The hydrogen is stored in two tanks that look a little bit, if you imagine some fins fitted to it, like bombs to be tossed out of the Red Baron’s biplane. Ogiso hid one tank under the rear seat, the other tank is tucked into the rear seatback. 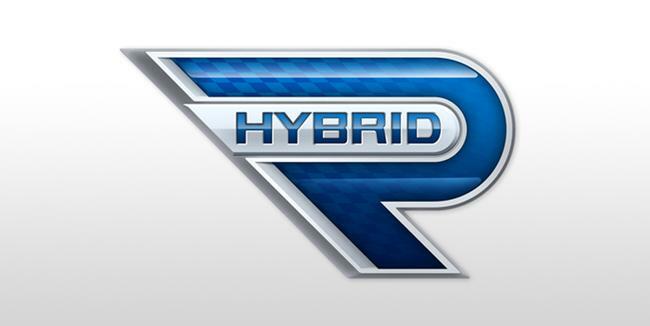 The whole arrangement does not take more space than a hybrid drivetrain. Last generation fuel cell vehicles had to be buses or big SUVs to accommodate the heft of the apparatus, for the mass production car, Ogiso shrunk the package to a size that can be hidden in a mid-size car. A fuel cell car, Ogiso explains, is an electric car without the regrets. The car is engineered for a cruising range of 300 miles between fill-ups. Those take less than three minutes, just like with a gasoline-powered car. In case we don’t believe it, we get it demonstrated. A big truck is rolled onto the dockland parking lot, a hose is stuck into where one usually would pour unleaded, and the car is good to go for another 300 miles. Or even 400. Last Monday, one of the cars was driven from Toyota’s head office in Toyota City to Tokyo, with a measured cruising range of 403 miles. “That driver may have been a bit of a hypermiler,” Ogiso concedes. The prototype sits on the actual production vehicle underbody, the powertrain is the same as what will power the final vehicle. The car currently wears a hand-me-down hat from a midsize Lexus – at the Tokyo Motor Show in late November, we will see something that will come much closer to the final product. Ogiso sees a use for batteries for small city cars. 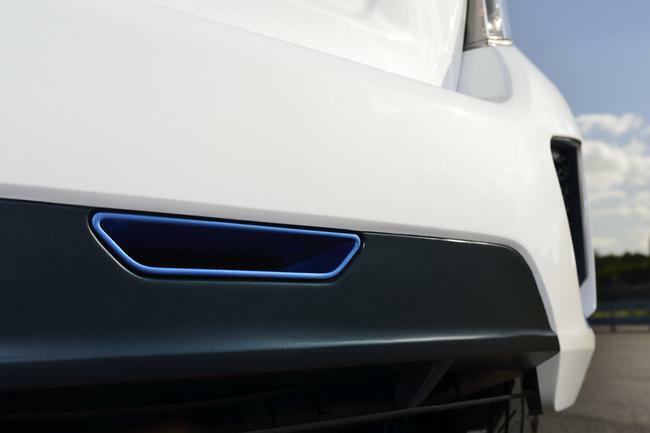 For cars that want to go 300+ miles without stopping, it’s advantage fuel cell. 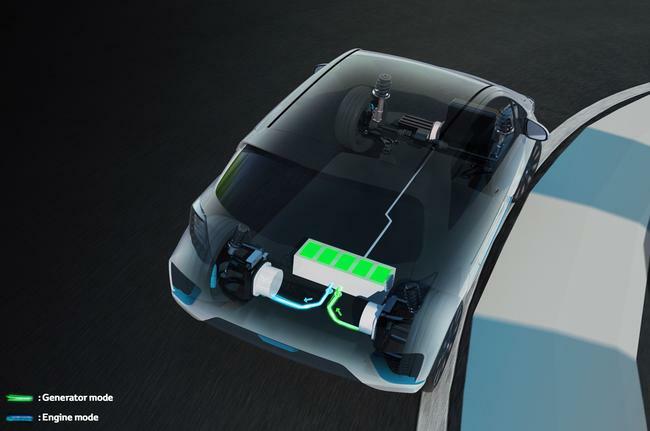 Where EVs need to lug around a heavy battery, FCVs can turn 11 lbs of hydrogen into 300-400 miles. “That’s very impressive,” says Ogiso with the pride of a newborn father. The two tanks weigh around 135 pounds, together. 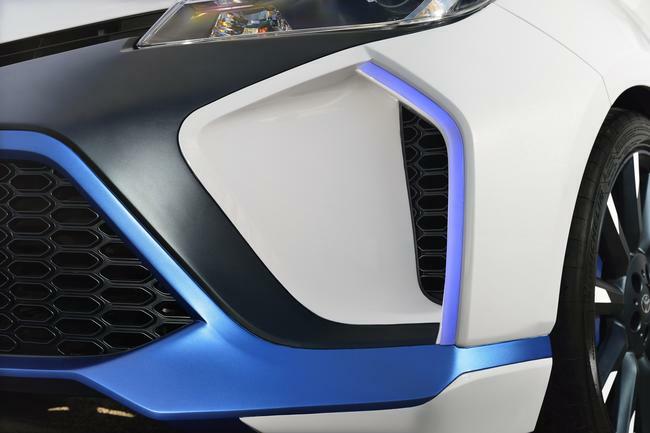 The fuel cell stack weighs in at another 220 pounds, and that’s “roughly the same as a conventional gasoline engine,” Ogiso says. Oh, and how does it drive? 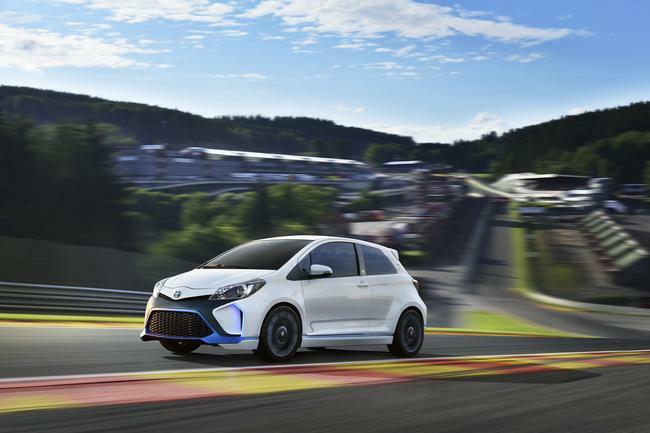 Don’t expect a lengthy critique from three laps around a large parking lost – even if that’s a distance that is deemed as plenty for many reviews elsewhere. The squealing tires were testament to plenty of torque. Those 300 miles won’t be boring, even if they lack the suspense that surrounds somewhat longer drives in an EV. It’s not a big secret that I doubt the success of the electric car, or of any vehicle that will require me to find a motel every 100 miles, where I wait half a day until my car is fueled up – if I can park it in front of my window, and if they don’t mind the extension cord to the car. Despite my huge anti-EV bias, I fell in love with an EV. Never since the mid-sixties, when Baerbel K. lured a still underage BS on the cramped back seat of her Volkswagen Bug, did I have so much fun in a car. I want the thing, and I want it bad, more than I ever wanted Baerbel. 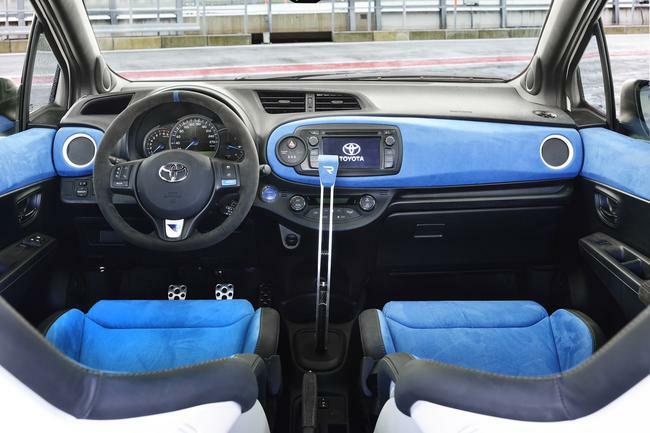 The thing is the Toyota i-ROAD, a tiny two-seater on three wheels, and I drove it. 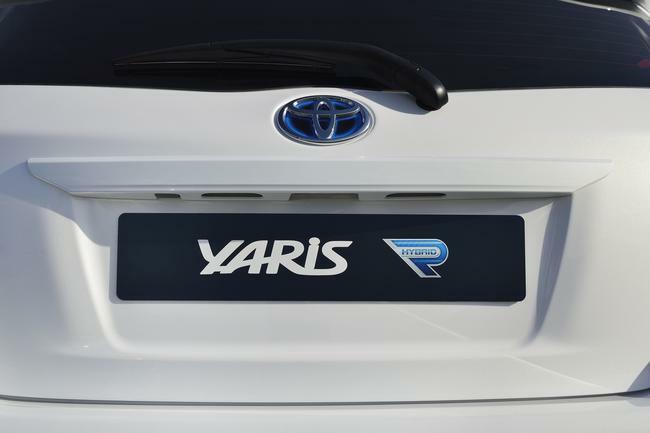 The engineers at Toyota have a better name for it. Internally, they call it the “lean-machine.” Roofed scooters are quite popular in Japan (especially as a pizza delivery vehicle). Carmakers are trying to popularize them with wider target groups. Nissan has the New Mobility Concept. Toyota has the COMS, occasionally dressed-op as the INSECT. Despite their tandem seating arrangements, these vehicles have a relatively wide stance. Build them narrower, and they could topple in turns. Enter the lean-machine. 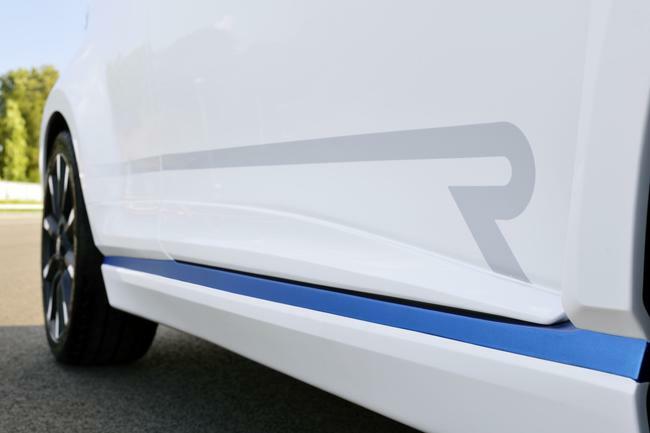 Both front wheels of the i-ROAD can be moved up or down via an on-board computer, thereby inducing lean. 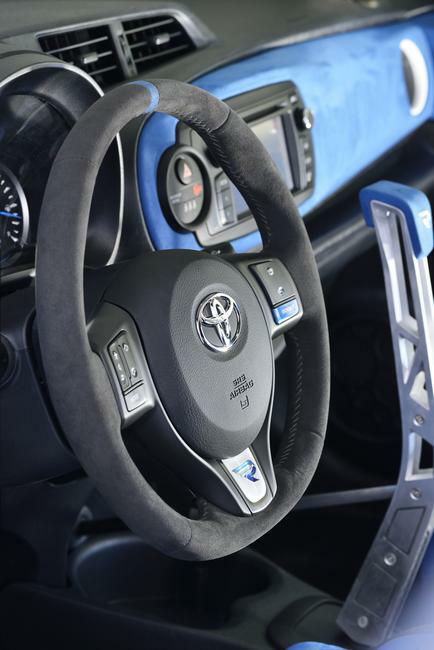 The computer uses steering angle, vehicle speed, and an electronic gyroscope as inputs. The i-ROAD quite natural leans into very tight turns. Despite, or maybe because of the advanced gadgetry, the i-ROAD demands little or no familiarization. After a few turns, driver and lean-machine become one. 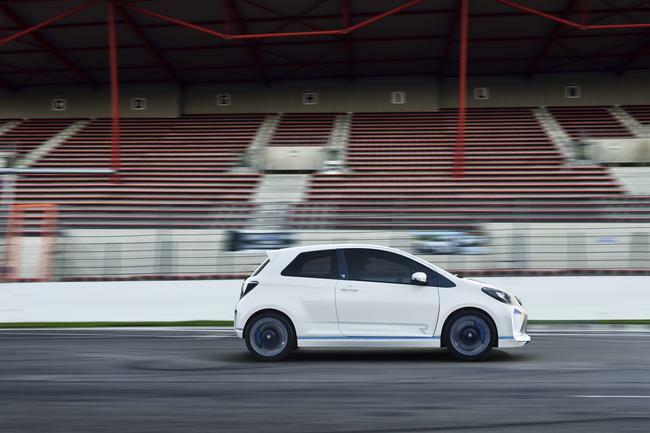 Maneuvering the I-ROAD through a slalom course feels like true slalom on skis, the machine crouches in the turn, and it stretches when going into the straightaway. The i-ROAD takes as little parking space as a full size motorcycle. In a pinch, four can be fitted into a Japanese parking spot. With a range of 30 miles, the vehicle clearly is destined for the city. The lithium-ion battery recharges in three hours. Sure, the machine checks all the green and sustainable boxes. But it provides something that has become rare on wheels: It is a huge fun to drive. “This could be a big success in Europe,” said Christian Wuest, scIence editor of Germany’s Spiegel magazine, who tried the i-ROAD before me, and who dismounted with a huge grin on his face. Yet, it is not sure whether the lean-machine will go commercial at all. 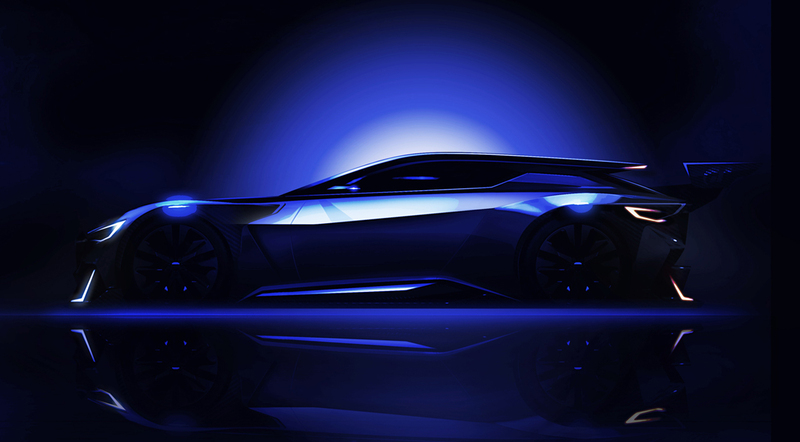 The vehicle is still a concept, Wuest and I drove the vehicles that had been shown at this year’s Geneva Auto Salon. A few more will be built, to be used in a field test in Japan and France. After that, the decision will be made whether the i-ROAD will go into series. I hope it will be built. The “driveway” of our new old Japanese house in Toyo is barely five feet wide, too tight a squeeze even for a kei car. The “street” outside is not a lot wider. Lean-machine, I am waiting for you.